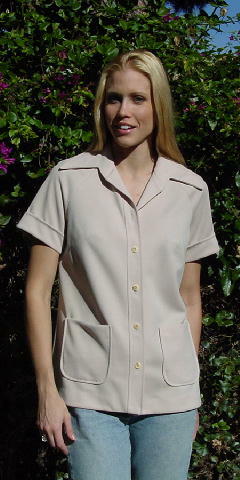 This vintage early '70s light beige jacket is 100% polyester. There are 5 semi-marbelized buttons down the front. 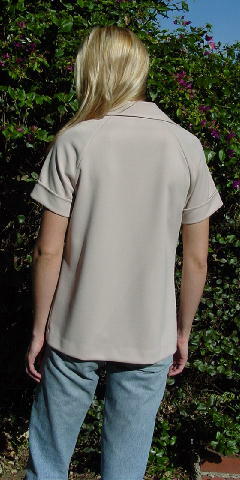 The short sleeves have 1 3/4" cuffs and 2 open lower front pockets. It has a big shirt collar and raglan sleeves. It was used on a male model in a music video. We think it looks better for a woman. neckline to end of sleeve 12"